Use coupon code “ronsrides” to get 5% off on check out! 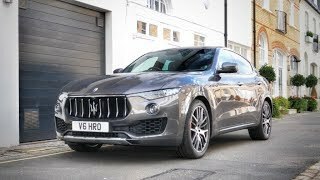 I have Levante SQ4... for me - 1) the best handling SUV, lots of comfort, at high speed very Stable... u feel that u are driving a big SUV. 2) Dam THAT EXHAUST SOUND DRIVES ME CRAZY EVERY DAY! 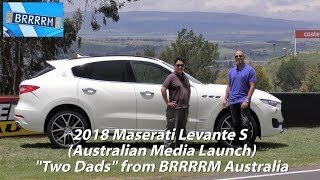 the best moment on my day..... turning on my levante and open those valves! Or acelerate till 4500-5000rpm and up shift in manual mode..... that BAM sound!!!! 3) the interior is just what u need in a car! Not that fancy screens... the infotaiment... is well position, Also buttons. - i see people saying jeep buttons or chrylers buttons- - every car manufacter does it - VW, Audi, Skoda, Porsche, seat group. MB and Nissan, Toyota and lexus, acura and honda.... 4) braking power is just excelent on the SQ4. 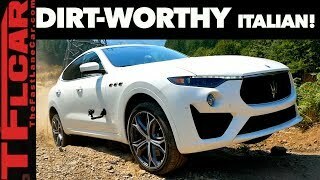 And the best and final - THIS SUV REALLY TURN HEAD! . The only cons- low millage but.... if can buy one... u dont Care about gas. Are the grill bars metal? 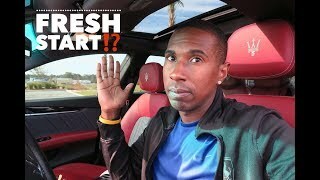 About how fast we’re u going when you were testing the exhaust? Grill bars are not metal due to weight savings and I plead the fifth on the second question lol. This is a beautiful car! 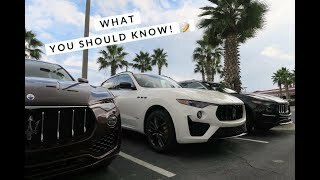 You should check out the 2019 Levante's! Thank you! And I think so too! Dog DeF**o i think wants to be paid to be honest! Lol most likely the case! 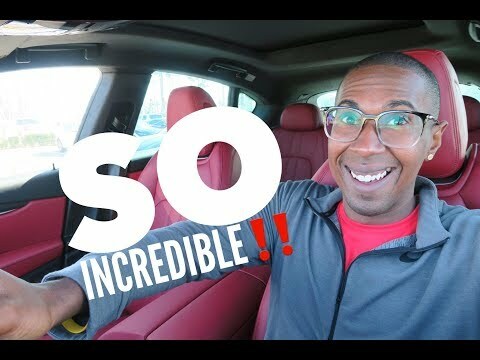 Great video as usual, Ron! 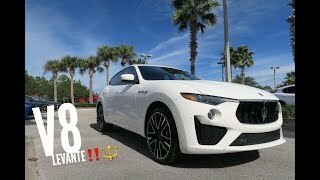 The Levante is DEFINITELY on my radar!! DeMuro is just a stupid hater. Dude this video is AWESOME. Well done! Suggestion for next video? Most luxurious version of the Stelvio you can find. 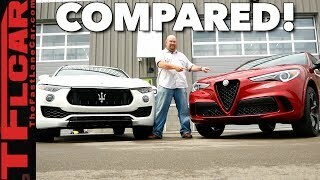 Apparently while the Giulia can have the luxury package with extended leather, Stelvio cannot. Looks and sounds great. But the gas mileage is horrible for a V6 why? Is it because of the extra weight of the AWD system? Gearing? A Lincoln Navigator gets that. 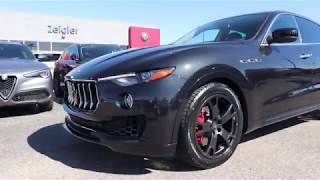 And the price...well I could get a Jeep Trackhawk with 700 hp has a few extra options and gets 20 mpg highway. A Durango SRT gets 23 highway with 470 hp. And they all 3 have the same 8 speed auto. For that price Im afraid it would be really hard to justify picking it over the others. https://youtu.be/RdunXzNNfqk. Coincidentally, this video was also released today. Question Ron : roughly how much are your oil changes? My first annual service starts at 1 year ownership or 12k miles. Whatever comes first and it was $350. Wasnt just oil though. A few small things. Made a video on it a while back. Second service coming up soon though! This is awesome, honestly changed my mind. 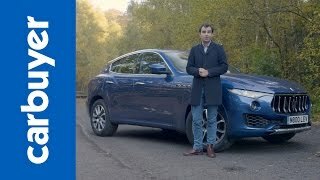 Before watching the vide i was going to comment i'd rather have an Audi SQ5.. but after watching this video... the Levante.... i LIKE!! The exhaust is so badass. Haha short and sweet. Glad you liked it! Yeah and the sales prove it with this, Maserati has a winner on their hands. 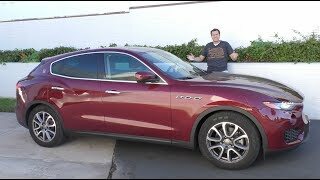 I just saw dougs review on it and he has always dragged the maseratis for some reason. So you're willing to over pay for no reason because of the badge? Besides those, everything else about this car is very basic. Chryslerati to be exact. Doesn't even have parking sensors on an 80K car, that really is ridiculous. It's because the price is WAY too high and the quality is too LOW for the price. The base Levante starts at 80K, with that you can get a fully loaded BMW X5 for that price. The only problem with Maserati's are the Chrysler parts. I don't think anyone wants cheap American plastic bits in 6 figure cars. Doug said he'd definitely consider buying one for around 55K. Rons Rides both videos where right next to each other haha but I guess everyone has something they don’t like. Haha thank you! Totally my spec! I have always wondered why do luxury vehicles have an OFFROAD mode? Why or who would spend 70k to take your car offroad... Am i missing something? Right, the Ranger Rover and G-Wagons are off road capable but are probably 99% bound to regular roads given the owners who purchase them. 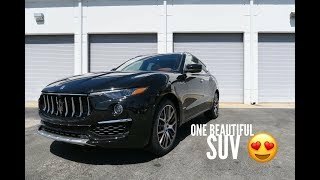 High price for sure but better than the Bentayga right? Lol, thank you! 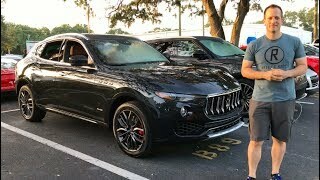 (Yep, changed my profile back to the way it was....) Anyways, my opinion on this car: I think the Levante suits this Nero with red leather and carbon package the best, out of all. Definitely a pretty car on stilts, but arguably a bit behind the Porsche Cayenne Turbo, dynamically. But hopefully the V8 powered Levante GTS will make the guys from Stuttgart have some sleepless nights! Haha i was confused about your picture again. Yes! Has a long way to go but once that rumored GTS makes its way on the streets...OH MY LANTA! 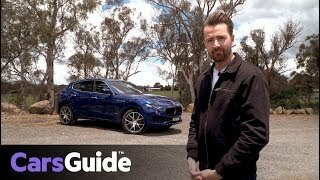 Is the 2017 Levante with hydraulic stearing power better to drive then 2018 elecrtic-powered Levante? I can agree on some small points. The buttons and infotainment argument will always come up but other than that, I think its worth whatever you option it out to be. 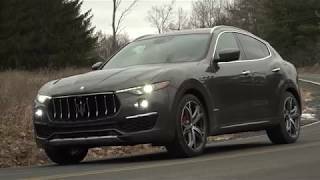 I dont see many more exciting SUV's on the market. Thats a good question and I'll have to get back to you because the only '18 we had here we sold. It was the blue Gransport. Ron are you from Michigan? Rons Rides from Kansas City, Mo live in Miami, Fl! I live in Daytona Beach FL but Im from Saginaw Michigan, you? 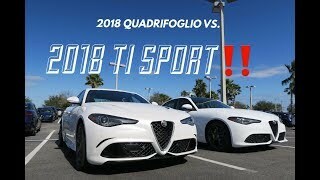 2018 Giulia Quadrifoglio vs 2018 Giulia Ti Sport!! 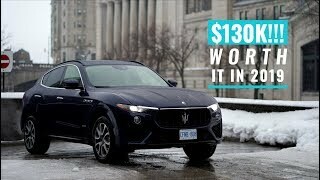 Why Would You Buy A Maserati Levante? 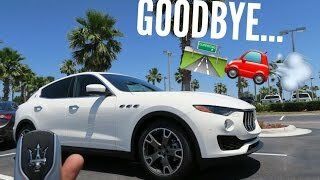 Quitting My Job And Selling My Maserati?! 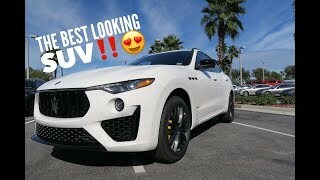 Driving 90mph in a Maserati Levante!!! 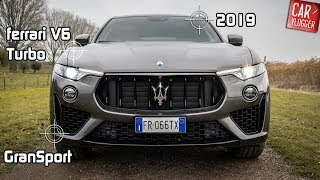 Heres The 2019 Maserati Levante Granlusso S FIRST DRIVE!